Tamaki is a dancer in Japan who has 4 children, 2 of whom have developmental disorders. 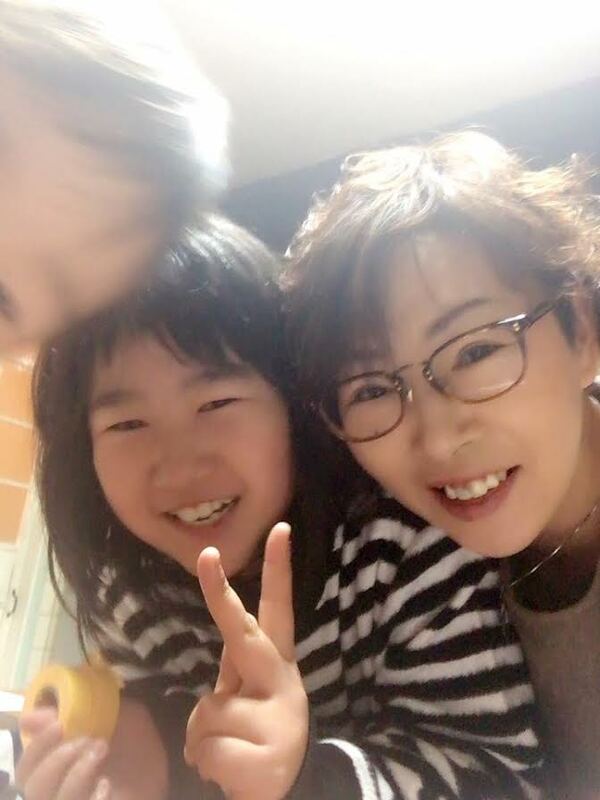 Before becoming a mother, Tamaki worked for 15 years as a social welfare worker at a disability hospital, specifically with intellectual disability. During her time at the hospital, she often saw medication used to calm patients who displayed difficult behaviour. But now she finds hope and possibility in using the 5Rhythms experience with her 11-year-old daughter May, who has a severe developmental disorder and learning disability. Although May is 11 years old, her intellectual ability is that of an 18-month-old. Her spoken sentences contain 2 words at the most. For May, all colours are yellow, and she cannot yet go to the toilet by herself. Although she can now walk, her sensory disability gives her a tendency to fall easily. When she encounters something she doesn’t like, her behaviour can become out of control, throwing everything around her or hitting and pushing other people. Afterwards, she notices that she has done something bad, and may then start to punish herself, for example, hitting her own head. When she is in her own rhythm, which is 6-7 times slower than most people, she is able to feel safe and okay. However, when she has to be hurried to move at the same speed as others, she becomes panicky and is only able to do what she wants to do. When May was little, it was much easier for her mother to carry her, but as she has grown, this has become more difficult. Until recently, the biggest challenge for her parents was giving her a bath or shower: She does not like to be touched above her shoulders, so having her hair washed was her least favourite experience. When she got angry, she would become very challenging to handle, and even when calm again, her slow rhythms meant that sometimes her baths would last as long as an hour which was very tiring for her mother. Sometimes, Tamaki would have to bring an end to the bath by turning off the light or the water, which would make May cry a lot. The first time that I attended a 5Rhythms workshop, my teacher, Masayo, shared Gabrielle’s teaching that “5Rhythms is everywhere”. I wondered if it was true – and then I got the idea to try using 5Rhythms in the bath with May. In the bathtub, I made a circle with my hands and arms and told her: “Look at this circle – so beautiful! This is called FLOWING!” May’s face lit up with happiness and curiosity. We played Flowing in the bath tub for a while. When I thought that was enough Flow, I used my arms to make a Samurai sword and cut the water with a big splashing sound. “May-chan, now get out from tub time! Staccato time!” I used staccato rhythms, making shapes, and walked out of the bathroom like a robot marching. May followed me out of the tub! Then it was time for Chaos. “Shake shake shake! Chaos shampoo time!” May was laughing all the time and shaking her head. She was having so much fun. It was the first time we had experienced an easy shampoo moment in years! I came home from a Cycles workshop in Denmark and began some deep dialogues with my mother on ‘daughterhood’. I realised that not all women are mothers or sisters but all women ARE daughters. What does it mean to be a daughter? What does it mean to have a daughter? What does it mean to be a daughter of the big mother, this Earth? Hege found herself having similar conversations with her own daughter & mother. And one day, I just surrendered to the offering implicit in the act of creating an altar. It was like the missing piece – I had my laptop and my music, but something was missing. It wasn’t about the physical altar itself. It was the intention, the focus, the clarity. The creation of something sacred. The inspiration that an installation could bring to the dance. That was a key moment for me. I realised I could forget about the word “altar” and use “installation” – they are just words. I love shamanism, and I’d been thinking about power animals for a while. A power animal is one that brings me some energy through its symbolism: cat, butterfly, snake, fox. That day, I opened a door to reveal a strong force – and the animal powers came in. I selected these: wolf, fox, dolphin, deer, owl, snake and butterfly. Why? I’m not sure. My relationship with wolf is not clear – I included that too. And of course, fox, an animal I had never paid attention to before but which I think helped me in that moment, guiding me in how to go deep into myself. It was Fox who helped me to improve my work as SpaceHolder. Dancing darlings – did you know there’s a conscious dance theme-camp at burning man each year? 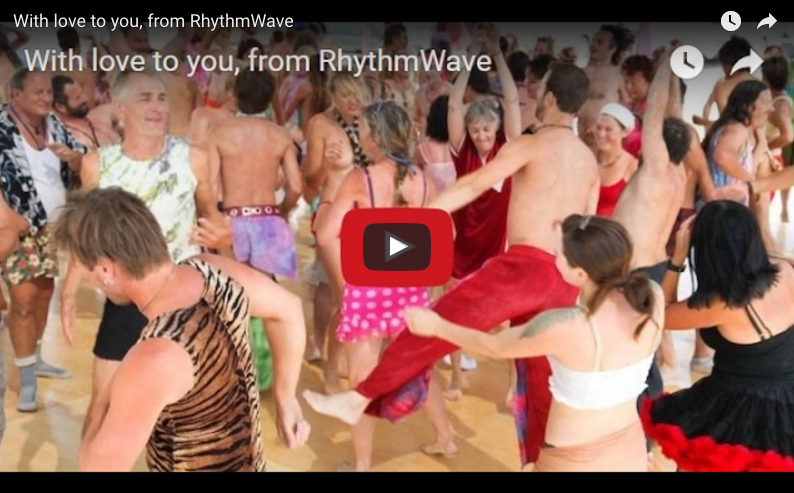 for the past ten years RhythmWave has zealously constructed a sprung bamboo dance floor in the dust, built a thriving in-house community, and offered a full schedule of movement to hundreds of citizens of black rock city. In order to continue spreading the good word, we need your help! 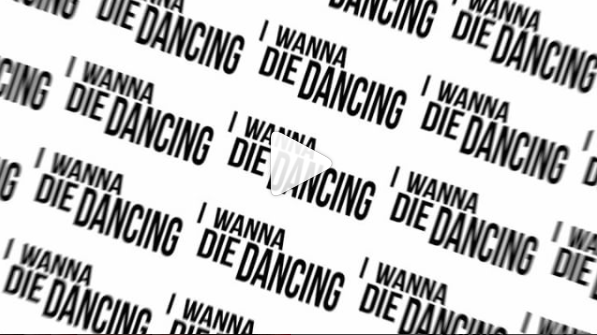 Click here to support our fundraiser in love & dance! The 5Rhythms community is a 21st century collective unbound by history, culture, race, religion, gender or politics. We are bound by the beat, following our feet on a dancing path to freedom. 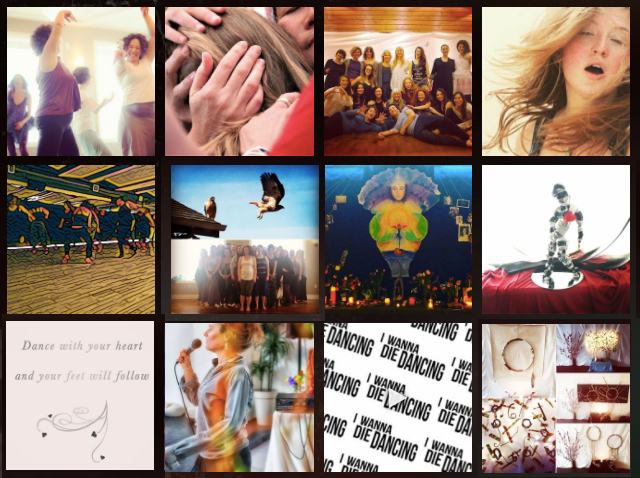 We are beat-driven, service-oriented, heart-based individuals who come together to embrace our tribal longings. The measure of a community is its respect for the wisdom of its elders, the innocence of its children, the passion of its artists, and the hope of its healers. We are committed to inspiring and serving these roots and wings of community. I was born in Slovakia to deeply religious Catholic parents in times of strict communism,. 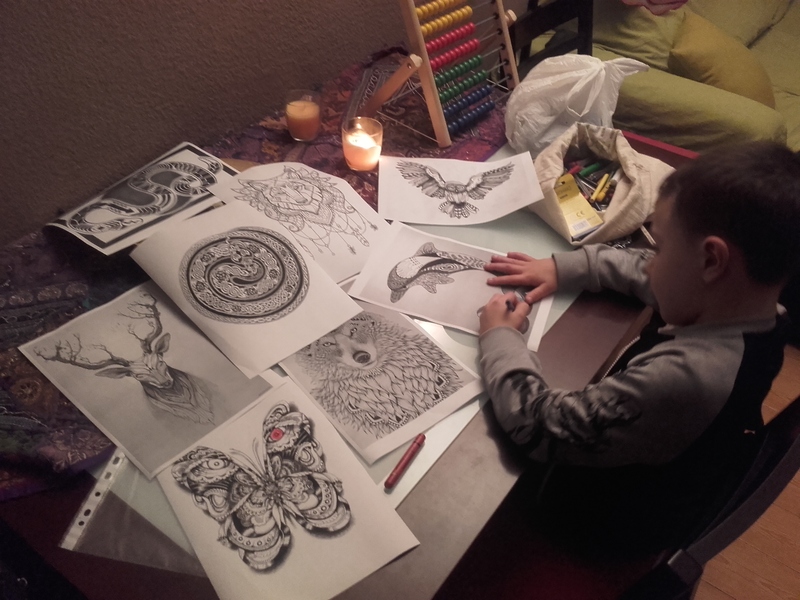 Despite persecution that affected my whole family, I never gave up my art. My work was always a reaction to my life, to my feelings. For a long time, my practice has been to use meditation and prayer to help me let go of things. Slowly, this appeared in my work as well, and dancing the 5Rhythms has begun to give me new dimensions for this exploration. I feel that since starting the dancing path I am now much more connected with my self, my soul, my body, and my own healing powers. As the 5Rhythms slowly enter my life, I am able to apply them in real life situations. 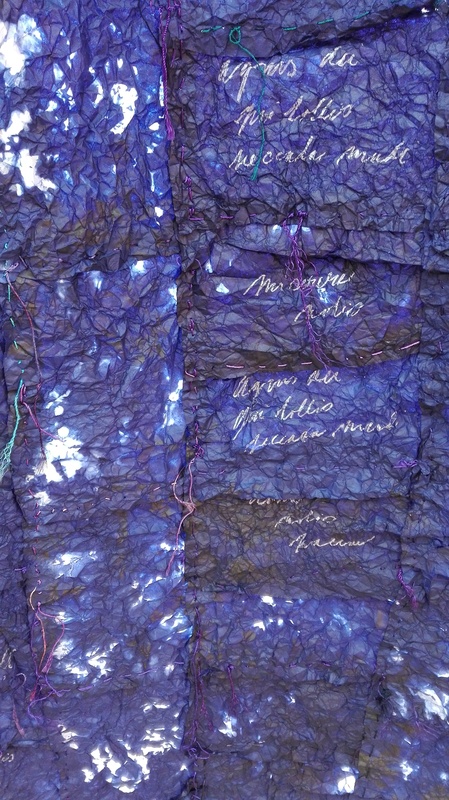 This exhibition, “Stillness”, is something like my prayer diary over the last 4 years. The biggest thing I have realized recently is that even though I was trying a variety of methods to gain peace and release, I was still like a heavy freight train, carrying too many wagons. I was like a beast of burden with the weight of the world on my shoulders. The results were visible in my body: problems with my backbone meant that I could not walk, and I was partially deaf. The album PRAY BODY, featuring the song American Dream, was recorded back in 1981‐82. At that time, we had an 11‐piece band and theater company called The Mirrors. The theater work was intense and was all about human nature and the construction of the psyche. We would spend all week exploring our ego structures and defense mechanisms, put our discoveries into some form of artistic expression (song, monolog, dialog, etc.) and then perform that on the weekends in many of the major cities of the US. I called it a “psychic peep show.” Gabrielle was, of course, a fierce and dedicated director. There was no hiding. On Saturday May 20th we will return to the streets of New York City for the 11th annual Dance Parade! It is an honor to for us to participate in this event, and to spread the joy and love that is the 5Rhythms practice. 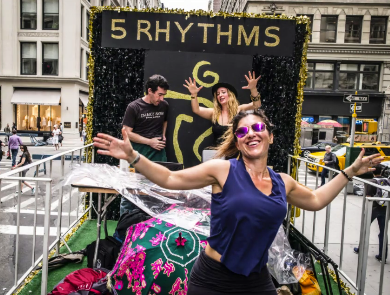 We’ll be dancing our souls and our freedom on a parade float with a full sound system, sharing our passion with thousands of spectators along the way. We invite you to join us in supporting this event. Your contribution will enable us to bring this incredible vision to life! WE NEED YOU! All proceeds in excess of our cost will be donated to 5Rhythms Reach Out, a 501(c)(3) non-profit charity that provides 5Rhythms dance to deserving community and senior centers. Please join us, both on the float and behind the scenes, as we work to bring this dance to the big bad city!